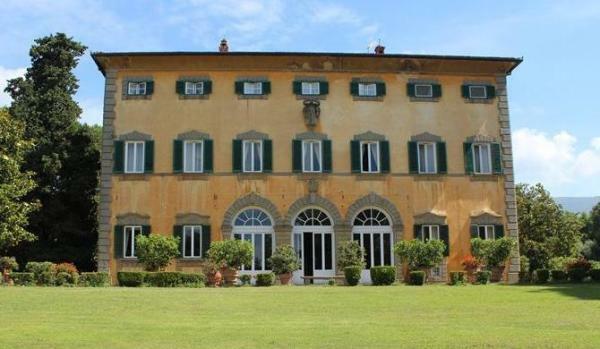 Zoopla shows you how to follow in the footsteps of movie star George Clooney and buy a property in Italy. George Clooney, one of the world’s most sought-after celebrities, has a mansion there. And it’s easy to see why. Whether it’s a traditional farmhouse tucked away in the countryside, a snazzy villa with sea views or an apartment overlooking a buzzing palazzo, it’s hard to resist Italy’s charms. The boot-shaped country offers a heady mix of art, history, culture, gastronomy and the most diverse landscapes. Times have been tough for Italy since the credit crisis but this has led to some continued low property prices. Combined with an often-favourable exchange rate, more overseas buyers than ever are turning their attention to the country. Indeed, there are bargains to be had. Local authorities have reportedly put homes for sale for as little as €1 each in Gangi in Sicily, Carrega Ligure in Piedmont and Lecce nei Marsi in Abruzzo. Reports suggest that many of the properties need around significant renovation work. Brits have traditionally favoured property for sale in Italy’s north; a farmhouse in Tuscany or apartments looking out over Lake Como. However, there is more to Italy’s property scene than these two well-trodden paths. Whether it’s a renovation project in a quiet hillside village or the ease of a new build home that takes your fancy, you’ll find a wide variety of property for sale in Italy. The Italian Lakes in Lombardy have a reputation for being a luxury hideaway for Hollywood A-listers and smart Europeans. George Clooney and his wife Amal have a villa on Lake Como, one of the most popular destinations for the well-heeled. 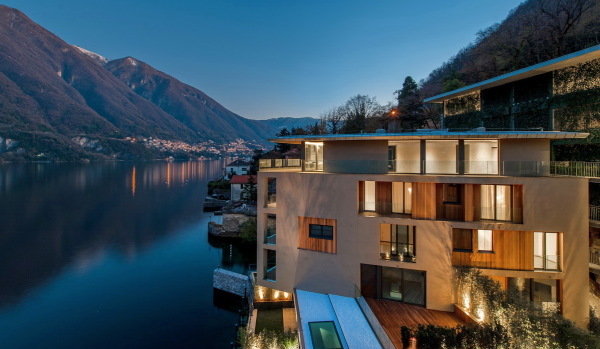 Lake Como and the elegant Lake Maggiore have similar property prices. If you are a water sports fanatic, you might want to turn your attention to Lake Maggiore, which is wider than its neighbour, Lake Como. Lake Garda makes up the trio of main lakes in the north of the country. It will come as no surprise that waterside properties tend to come with the heftiest price tags. So if money is no issue, you might want to follow in George’s footsteps with a lakeside villa. A more affordable option could be an apartment with a view. Second-home owners in the Italian Lakes have the benefit of enjoying a ‘dual season’; the ski resort of Zermatt is just two-and-a-half hours away by train. Liguria and Piedmont, located close to France, are also both attracting attention. Liguria has some charming coastal towns and villages, such as Portofino, Alassio and Bordighera. Other regions to look out for in the north of Italy include the Veneto, Friuli-Venezia Giulia and Emilia-Romagna. Major cities in these parts include the fashion hub of Milan, Bologna and, of course, Venice, which needs no introduction. The centre of Italy attracts a good dollop of buyer interest. The rolling hills of Tuscany are dotted with medieval villages and traditional stone farmhouses with swimming pools. It also boasts some of the country’s top renaissance cities. 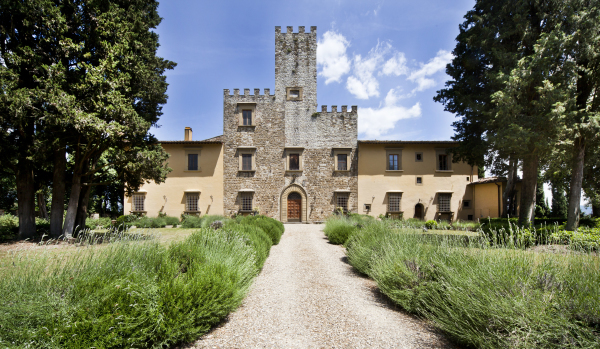 The area around Arezzo, Siena and Florence is at the more expensive end of the spectrum. There are other lesser-known corners that are growing in popularity, including Lucca, Garfagnana, Lunigiana and Bagni di Luca. There is a good selection of barns and cottages ripe for restoration, traditional farmhouses and villas with swimming pools, as well as fully restored stone houses. The landlocked region of Umbria, often compared with its neighbour, Tuscany, has plenty to offer. It is likely to appeal if you are in search of the real Italy. Lake Trasimeno and Perugia are both sought-after areas. Le Marche boasts the Adriatic coast, ski resorts inland and some relatively untouched national parks. You can find a choice of properties here, from beachfront villas and apartments to houses atop hills. There is value to be found close to the border with Abruzzo, a picturesque and rural area with affordable prices. Another area that may be of interest in this part of Italy is Lazio. Puglia, located in the 'heel' of the country, is a rising star in Italy. 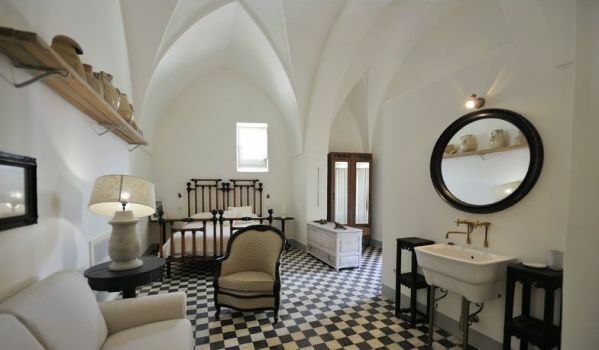 Brits in search of an authentic property should look out for a masseria, a thick-walled farmhouse which dates back to the fourteenth century, and a white stone trulli, a conical home. Popular areas to buy Italian property in Puglia include the coastal stretch between Torre Guaceto and Monopoli. There are also some gems inland. Ostuni is known as the White Town for its architectural beauty. Martina Franca, which also boasts an old quarter of white-washed buildings and winding alleys, and Carovigno is worth considering too. If the sea is the main attraction, you should look at coastal properties for sale on the islands of Sardinia and Sicily. Sardinia has attracted its fair share of high profile visitors. Former Italian Prime Minister Silvio Berlusconi has a 68-room luxury retreat on Sardinia’s Costa Smeralda, where guests have included Tony and Cherie Blair, Vladimir Putin and George W Bush. For the majority of us, Sardinia is a good-value holiday home hotspot. Meanwhile, Sicily tends to be the more expensive option. Campania, Calabria and Basilicata are also located in the southern Italy. 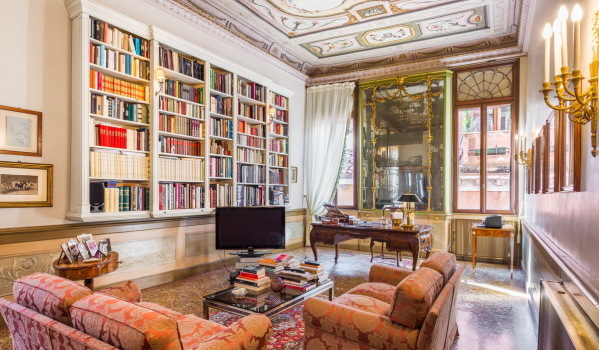 Search Zoopla for a comprehensive range of property for sale in Italy. It’s easy to fall in love with the idea of buying a charming apartment, villa or farmhouse in Italy. However, it’s important to do your homework before signing on the dotted line. Explore Italy’s different regions as well as the types of property available and what they cost. Next, tally up all the other costs that are associated with buying and managing a property in Italy. The cost of snapping up a property for sale can range between 10 to 20 per cent of the purchase price. Read on for a rough guide on how the costs might add up. You will need to pay the public officer, called a notary, who is appointed by the state. The notary will register the transaction, collect the relevant taxes on behalf of the Italian government and ensure that the conveyancing process goes smoothly. Notary fees tend to vary between 1.5 per cent and 5 per cent of the purchase price. Other professional advice with fees attached to keep in mind is that of estate agents and solicitors. Agency fees, normally split between buyer and seller, can range from 3 per cent to 8 per cent. If you secure a mortgage to buy a property, you may be charged an arrangement fee – and don’t forget some state taxes. You will normally be expected to pay registration tax once you have completed the deal to buy a property in Italy. It is 7 per cent for non-residents and up to 10 per cent for agricultural property. However, you will be exempt if you’ve bought a new build home. If you buy a property from a builder or developer, you can expect to be charged IVA (VAT) instead of purchase tax, which is normally around 10 per cent of the property cost. Other factors you'll need to budget for are the cost of land registry, moving, currency conversion and the installation of services, such as water, electricity and gas. Finally, don’t forget that there will be ongoing costs associated with owning a property in Italy. These could include income tax, council tax, known as imposta municipal unica, as well as other general maintenance issues. You should seek advice from a professional who specialises in Italy’s property market to help you navigate the buying process. There are various hurdles to potentially overcome, not least language and law. Once you have found your dream property in Italy, you may need to submit a formal written offer, a proposta, and a small deposit to secure the property. When your offer has been accepted, a preliminary contract, known as a compromesso, will be drawn up. It sets out the nature of the transaction, payment arrangements, the timescale and any other pertinent conditions. Buyers often instruct the notary to write the compromesso. The compromesso is not a legally-binding document. However, you will normally be expected to pay a deposit of up to 30 per cent of the property’s purchase price at this stage. You may lose your deposit if you pull out of the deal without good reason. Likewise, the seller also risks paying a penalty to the tune of twice the deposit if they change their mind. The compromesso will be produced in conjunction with the seller’s advisor and the notary. This time will be spent carrying out due diligence, such as formal checks on ownership, building regulations and permissions. It is wise to check that there are no outstanding mortgages or debts linked to the property you wish to purchase. These can be passed on to the purchaser. The compromesso will be formally lodged with the notary when all the relevant parties have signed it. The final contract, known as a rogito notarile, is prepared by the notary, which acts independently of both you and the seller. You will likely need to pay the balance of the purchase price as well as other taxes and fees when you sign the rogito notarile. Once you have signed all the relevant documents and paid up, you will be given the keys to your new Italian property. There is absolutely no shortage of fun things to do in Italy. If you are an art aficionado, you should head straight to Galleria degli Uffizi in Florence. The Medici family bequeathed the collection of Italian renaissance art to the city and it contains some of Italy’s most famous paintings. In Rome, The Vatican, the headquarters of the Roman Catholic Church and home to the pope, attracts visitors from all around the world. A trip should take in the museums, the Sistine Chapel and St Peter’s Basilica. The gladiatorial arena, the Colosseum, is also in Rome. If you haven’t already been swept away by the romance of Venice, then a trip to the Basilica di San Marco should be on the cards. 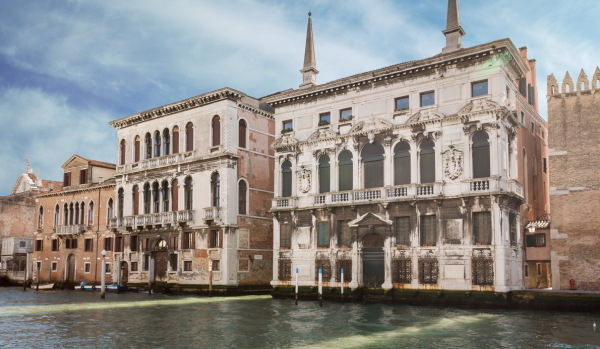 The grand Gothic palace, Palazzo Ducale, is also worth a visit. The ancient city of Pompeii, destroyed by the volcano Mount Vesuvius, is located in the south of Italy, near Naples. And if you’re warming to the volcano theme, head to Mount Etna in Sicily - Europe’s largest live volcano. If enjoying rugged beauty is up your street, then visit Cinque Terre, a string of five fishing villages nestled along the Italian Riviera coastline. And for real glitz, try the small but perfectly-formed coastal village of Portofino. One of the attractions of snapping up property for sale in Italy is that the country is easily accessible. The main gateways to Italy are the airports in Rome and Milan and to a lesser extent, Venice. You can also find flights to a host of other Italian cities, such as Florence, Pisa, Turin and Olbia in Sardinia. The national carrier, Alitalia, and other international airlines fly to Italy. You can also book cheap flights operated by the likes of Ryanair and easyJet. Domestic travel in Italy is straightforward. If you’re travelling great distance across the country, you might want to consider Alitalia and the low cost flights that operate domestically. Meanwhile, the Italian trains are an affordable and effective option. Trenitalia, the national railway system, runs most services. Italy's road network includes an extensive set of privatised motorways, known as autostrada. The north-south link is called the A1 and extends from Milan in the north to Naples in the south. The tolls can be expensive. You will find a network of buses operating in Italy, ranging from the local routes through to fast InterCity connections. Ferries service Sicily and Sardinia as well as the smaller islands. The climate in Italy varies between the north and the south. Northern Italy has very cold winters and very hot, humid summers. Cold air can bring snow in the mountains but the coastal regions remain warm thanks to the high sea temperatures. The climate in Italy is milder the further south you go. Temperatures in the spring and autumn in southern Italy and the islands are in line with those reached in the summer in other areas of the country.